The Butterfly Program is an amazing program established and sponsored by Children’s Hospital and Porter Hospice of Centura Health at Home. 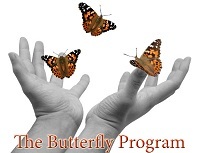 The Butterfly Program was created to fill a void in the community by providing comprehensive pediatric palliative care, serving families of children who have unfortunately been stricken by a life threatening illness, and generally have less than 12 months to live. The Butterfly Program now allows curative and palliative care to compliment one another in an attempt to provide a comprehensive approach to end-of-life care for not only children but also their families. 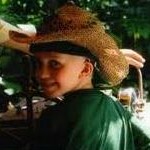 Therefore, when you make the decision to donate your car to The Butterfly Program, you are not only making the decision to donate a car, you are turning your car into a donation that will improve the quality of life for a child and their family as they deal with such a crushing circumstance. On behalf of Cars Helping Charities, The Butterfly Program and all who will soon be effected by your car donation, we would like to say thank you in advance for making the decision to donate your car to such an incredible charity!